Why Use Clever Finance Solutions? MFAA Certified Credit Advisor, Our CEO holds a Graduate Diploma in Management and a Diploma in Financial Services (Finance/Mortgage Broking Management). At Clever Finance Solutions we know that getting a loan is a daunting and challenging experience, fraught with jargon, too many options and people trying to sell you things you don’t know you want or need. It is why we focus on you, your financial goals and making sure a loan fits your lifestyle. We pride ourselves on understanding your unique situation and pinpointing the right loan from over 30 banks, non-banks and lenders, some with no physical presence. Our two main aims are to secure a loan that works best for you, and to make the application process as easy as possible. We don’t try and do it all, preferring to specialise in lending. But, along the way, we have built a vast network of professionals who can assist you with many other aspects of your property journey including conveyancers, financial planners, buyers agents, property managers and insurance brokers. Although we specialise in multi-property investment portfolios, Clever Finance Solutions provides a range of loan services from first-home buyers to funding for business. We are home owners, business owners and investors ourselves, so we understand what you need and want. Let us help you reach your financial goals. We use the major bank and non-bank lenders and will go beyond the normal to get you the best finance solution. This includes residential property mortgages, commercial property mortgages, business finance, equipment finance and leasing, cashflow finance etc. We operate Australia wide and are proactive with our clients, encouraging annual reviews of their portfolios, to help keep you focused on your goals and to stay abreast of changes in the finance area. Barry, our amazing Founder and Director, is the heart and soul of the business. He has been a broker since 2008, working hard and thinking outside the box to help clients achieve their financial goals. Although Barry has managed corporate online security in a past life, it was his desire to be more at home with his daughter, and his love of numbers and property, that drove a change in career. He likes to push the business forward and keep both Celeste and Rosell on their toes. 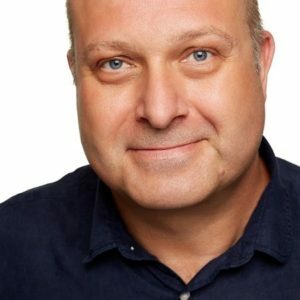 Barry is an expert in helping people in unique situations obtains loans for not only homes and investment properties but businesses too. In 2015, he had a client that was a finalist in the Your Investment Property Magazine “Investor of the Year” awards. 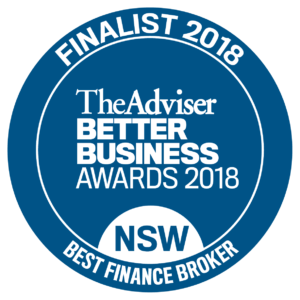 Barry was also a finalist in the 2018 Better Business Awards for “Best Finance Broker”. He is also a very good cook and enjoys baking, barbecuing and keeping his family happy. Celeste, our wonderful Client Experience Manager, deals with all the post-settlement client relations and marketing tasks including sending and collating the client surveys and posting to social media. She has previously worked in marketing and compliance but is a maritime archaeologist and is currently doing a PhD at University of New England. 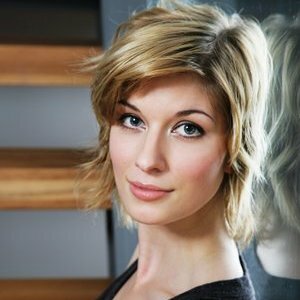 Celeste enjoys the challenge of working in a new industry and a small team where everyone’s input is valuable and necessary. Celeste is also a dive master and an internationally certified level three mermaid. Rosell, our fabulous Client Applications Manager, handles all the filing, submitting, tracking of loans and dealing with the lenders so our clients don’t have to. 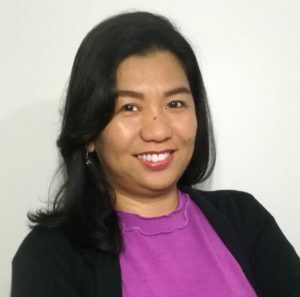 She lives in the Philippines and has not only been a substitute computer teacher and encoder in a previous life but has been working as a broker assistant for almost 2 years. Rosell finds it exciting to work with Barry and Celeste as she is learning a lot like new applications, and her can do attitude and unique experience brings a great new perspective to the company. Rosell also loves being surrounded with kids, friends and family, as well as pizza and pasta (not necessarily in that order).